Welcome to the International Network of Engaged Buddhists? (INEB) website for our Biannual Conference! This year the conference is being held from 26 ? 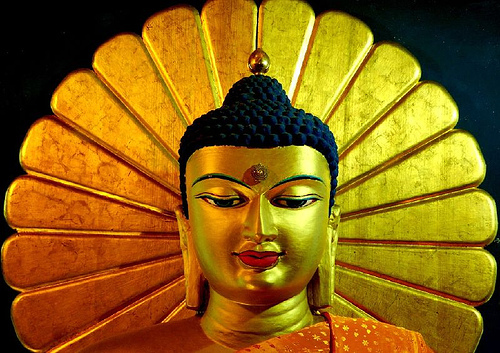 29 October, 2011, in Bodhgaya, India, where Buddhists from many countries, cultures and traditions will gather to explore the future of Buddhism. Several activities are being scheduled before and after the conference, so make your travel plans accordingly. New information is being added to the website all the time, so please visit it often. Also, feel free to e-mail INEB at conference@inebnetwork.org. We look forward to seeing you in Bodhgaya! INEB is accepting conference registrations after the 31 August deadline. Please send your completed registration form as soon as possible. Many people are confronting our rapidly globalizing interconnected world by retreating back into parochial nationalisms, ideologies of ethnic superiority, and religious fundamentalism. Many Buddhists have been part of such political campaigns that have killed thousands and forced millions into domestic and international exile. Yet, at the same time, an unprecedented number of people are crossing national, ethnic, and religious barriers through internet and other technologies to interact, learn, and rejoice in our diversity. What is Buddhism’s role in this movement? What is the future of Buddhism, or rather, is there a future for Buddhism? Come join us at the bi-annual conference of the International Network of Engaged Buddhists (INEB) at the place of the Buddha’s enlightenment to re-awaken and re-vitalize our Buddhist commitment to work for the welfare of all sentient beings! A variety of specialized pre and post-conference programmes for youth, women, artists, mediators, and pilgrims will also take place. In the morning, participants will walk to the Maha Bodhi for a morning programme of meditation, chanting, prayers, and Dharma talks. They will include spiritual practices from all traditions to which representatives from local Bodhgaya temples and organizations will be invited. Generational Sharing will take place in morning plenary sessions on Day 1 and 3 and will provide an opportunity for senior leaders with a history of active social engagement to share their experiences and challenges to inspire young leaders. Rather than giving a formal speech on an issue, the presenters will informally share their personal history beginning in their youth and how they started on their current path. They will explain the challenges they have faced and the strategies they have used to overcome them. Special emphasis will be given to the balance between spiritual practice and social action. A question and answer session will follow the plenary sessions. Morning roundtable discussions will be organized on Day 2 and Day 4 to stimulate in-depth and critical dialog on social issues of common concern to all Buddhist traditions. The session will use a ?fishbowl? format. Eight to twelve key resource people with informed views on the selected topic will share their perspectives. The conference participants will be seated around them as observers. The roundtable presenters will include lay and ordained men and women from different Buddhist contexts with a wide range of backgrounds and experiences. For the first 2 hours, the roundtable participants will have an in-depth facilitated dialog on the proposed themes. For the final 1 hour, general participants will have the opportunity to ask questions, share views, and engage in the dialog. At least 20 sessions are planned: 10 will be conducted on Day 1 and Day 3, and 10 will be conducted on Day 2 and Day 4. Participants will have the opportunity to choose sessions according to their interests and experience. The INEB Fair will provide an opportunity for INEB members and conference participants to share their work experiences, exchange ideas, and attract new members to existing thematic working groups. ?Stalls? or tables will be arranged for people to share posters, videos, photos, publications, food, etc. Musical entertainment will also be provided. Participants will be free to walk around the grounds, learn about programmes in different regions, exchange ideas, and socialize. Short films, documentaries and feature films on Buddhist themes will be shown at multiple screening areas around the main conference venue. Local and international performing artists will perform for conference participants and local guests. The conference will close with a candle procession to the Maha Bodhi and a dedication of merit. Conference logistics will be managed by Indian youth from the Bodhgaya region. They will have the opportunity to participate in a pre-conference workshop and training programme with youth from INEB?s international network. Morning meditation, chanting, and Dharma talks will be organized with Bodhgaya temples and religious groups to ensure participation and promote inter-communal exchange. Local people and organizations will be invited to participate in the evening sessions at the conference venue. Local artists will have an opportunity to perform and share their work. On 30 October, the day after the conference, study tours will be organized to visit service projects by local organizations. Sharmadana means giving time, energy, and skills for the benefit of others. The conference organizers will work with local service organization to plan a shramadana opportunity (e.g. environmental cleanup) for conference participants. Young leaders from INEB?s international network with join local Indian volunteers for a 5-day workshop and training programme in Bodhgaya before the conference. 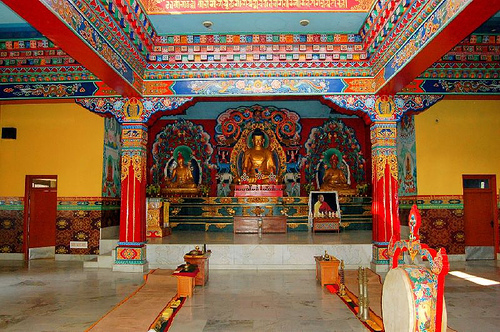 A workshop with Buddhist artists will be held in Bodhgaya before the conference. Their work will be exhibited in Bodhgaya during the main conference. Exhibitions are also being organized in New Delhi, Colombo, Bangkok and Tokyo. Buddhist retreats and pilgrimages will be organized as optional post-conference events. An estimated 250 ? 300 people are expected to attend the conference. Special attention will be given to ensure strong youth participation in all conference activities. INEB focuses on bringing participants from regions that are in crisis and who need support. Therefore, your donation (dana) will be gratefully received to help others. Support for such needy participants to attend will enrich your entire conference experience! Fees include the programme in its entirety: registration fee and food. Registration forms for speakers and resource persons are different from the one for general participants. The form is being sent directly after their participation is confirmed. *For further details on accommodation packages are available under Logistics on this website. The International Network of Engaged Buddhists (INEB) brings together activists, spiritual leaders, academics, and young people from more than 20 countries in Asia, Europe, America, and Australia, in areas of common concern: to integrate the practice of Buddhism with social action for a healthy, just, and peaceful world. INEB is rooted in the treasure of personal relationship that raises the original spirit of sangha in a contemporary, multi- cultural context. INEB aims to promote understanding and cooperation among Buddhists; to articulate the perspective of engaged Buddhism and train Buddhist activists; to serve as a network of information and resources on engaged Buddhism; and to cooperate and collaborate with activists from other spiritual traditions and social change organizations. Youth Buddhist Society [YBS] is a volunteer, non-governmental, non-sectarian, non-profit, non-political people’s development movement based on engaged Buddhism established in 1986 in Sankisa, Uttar Pradesh, India. By act of Indian constitution YBS was formally incorporated in 1994 as Youth Buddhist Society Development Committee of India. Jambudvipa is a charitable trust registered under the Bombay Public Trust Act of Charity Regd no. E-2859 (Pune). The founder and president is Dhammachari Lokamitra. www.jambudvipa.org.